Home : What is Open House Committee? What is Open House Committee? Every Spring, Cal Poly invites thousands of prospective students to celebrate their acceptance and discover the campus and San Luis Obispo community through Open House Weekend. Of the three flagship programs presented by New Student & Transition Programs (NSTP), Open House is often the first step in many students’ Cal Poly career. Whether prospective students have toured before or it’s their first visit, this weekend provides the opportunity to come face to face with faculty, current students, and the beauty of San Luis Obispo. 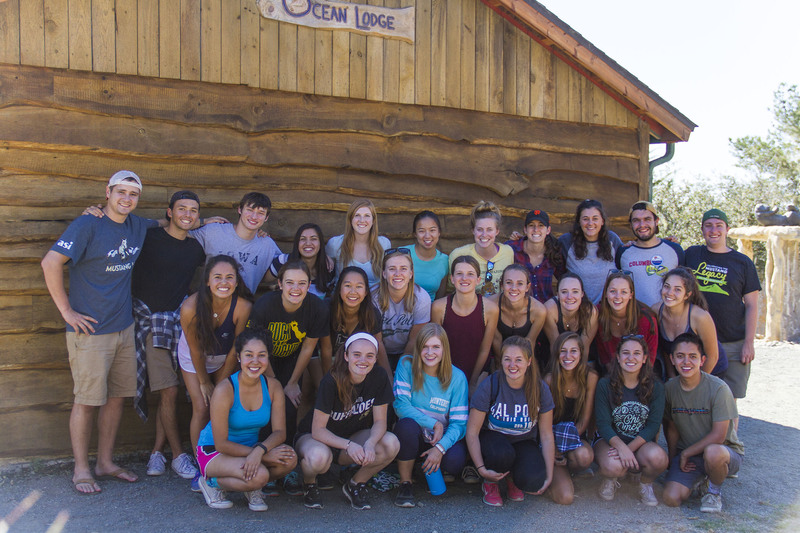 As is true with all programs under the NSTP umbrella, Open House programming is student-centered, with current Cal Poly student leaders practicing “Learn By Doing” behind the scenes. The 2017 Open House committee consists of two Co-Chairs, six sub-committee leads, and eighteen committee members – all students, supervised and advised by NSTP’s pro-staff. The committee breaks down into three sub-committees related to the areas of the weekend they help plan: Logistics, Outreach, & Communication, Events & Operations, and Campus & Community Engagement. The process for selecting the Open House committee begins in May of the previous year. Candidates from all over campus apply for the Co-Chair position. Among their many responsibilities, Co-Chairs meet with various campus partners, schedule committee meetings and workdays, and select sub-committee leads as well as the committee. Leads interview and are selected in early June. Over the summer this group plans and prepares for the recruitment and selection of the committee in the Fall. Once Week of Welcome ends and Fall Quarter begins, Co-Chairs and Leads hit the ground running with recruitment and interviews. A few short weeks into the quarter, the committee is selected, placed in their sub-committees, and weekly meetings begin. Open House meetings cover everything from event proposals to professional development and inform the committee of everything it takes to organize the weekend. However, involvement in committee goes beyond meetings. Open House committee is a way for students to get a true “Learn by Doing” experience. 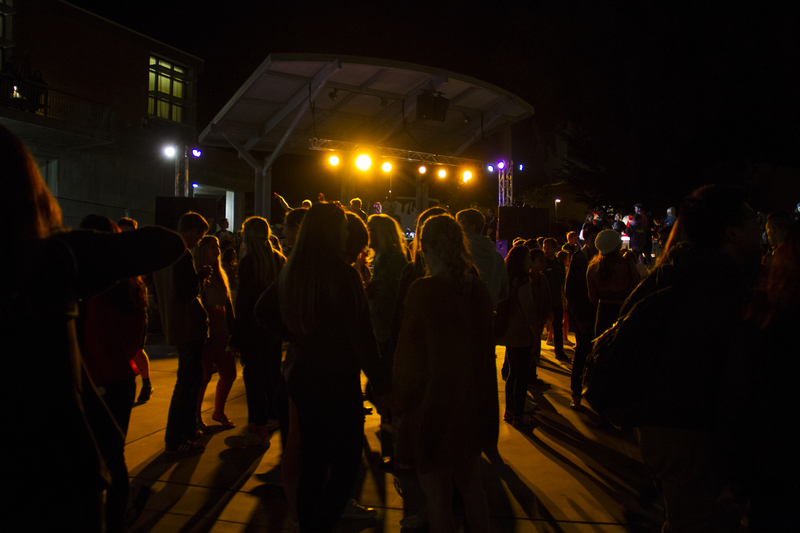 With all six colleges represented, and members from first years to fourth years, the committee unites diverse majors and backgrounds all for the purpose of creating a weekend that shows prospective students everything that Cal Poly has to offer. Throughout the week, committee members hold office hours in which they complete their specific tasks and plan their events. Students coordinate the marketing and advertising, sponsorship, facilities, Poly Royal parade, community outreach, and so much more. From the moment a prospective student walks through the club preview night at Farmers’ Market to the moment they leave campus showcase on Saturday, every member of Open House committee had a hand in creating their experience. While it takes months of hard work, seeing prospective students enjoying Open House – and even committing to Cal Poly – reminds everyone why they chose this amazing place.